Crazy Horse was born in the Black Hills of South Dakota in 1841, the son of the Oglala Sioux shaman also named Crazy Horse and his wife, a member of the Brule Sioux. Crazy Horse had lighter complexion and hair than others in his tribe, with prodigious curls. Boys were traditionally not permanently named until they had an experience that earned them a name, so Crazy Horse was called “Curly Hair” and “Light-Haired Boy” as a child. As an adolescent, Crazy Horse earned the name “His Horse Looking,” but he was more commonly known as “Curly” until 1858 when, following a battle with Arapaho warriors he was given his father’s name, while his father took the name Worm. Crazy Horse was not a traditionalist with regard to his tribe’s customs, shrugging off many of the traditions and rituals that the Sioux practiced. In 1854, Crazy Horse rode off into the prairies for a vision quest, purposefully ignoring the required rituals. Fasting for two days, Crazy Horse had a vision of an unadorned horseman who directed him to present himself in the same way, with no more than one feather and never a war bonnet. He was also told to toss dust over his horse before entering battle and to place a stone behind his ear and directed to never take anything for himself. Crazy Horse followed these instructions until his death. In 1866, the discovery of gold along the Bozeman Trail in Montana spurred General William Tecumseh Sherman to build a number of forts in Sioux territory. Under the command of Captain William Fetterman, a troop clashed with Sioux and Cheyenne warriors after Crazy Horse acted as a decoy to lead the 80 white soldier to their death in an ambush. The soldiers&apos; bodies were hacked up to send a message to Sherman. In 1867, Crazy Horse took part in an attack on a small fort. Shortly after, Sherman toured the Native prairie lands to meet with leaders and seek peace. By 1868, soldiers were pulled out of the disputed forts and a treaty was signed that gave the native populations ownership of the Black Hills, areas west of Missouri and land in Wyoming. No whites would be allowed to enter that territory under threat of arrest. Crazy Horse, however, eschewed the treaty signing, preferring to conduct raids on enemy tribes. Black Buffalo Woman was Crazy Horse’s first love. They met in 1857, but she married a man named No Water while Crazy Horse was on a raid. Crazy Horse continued to pay her attention and in 1868 eloped with her while No Water was on a hunting party. He and Black Buffalo Woman spent one night together before No Water took back his wife, shooting Crazy Horse in the nose and breaking his jaw. Despite fears of violence between villages, the two men came to a truce. Crazy Horse insisted that Black Buffalo Woman shouldn’t be punished for fleeing and received a horse from No Water in compensation for the injury. Crazy Horse eventually married Black Shawl, who died of tuberculosis, and later a half-Cheyenne, half-French woman named Nellie Larrabee. Black Buffalo Woman’s fourth child, a girl, was a light-skinned baby suspected of being the result of her night with Crazy Horse. 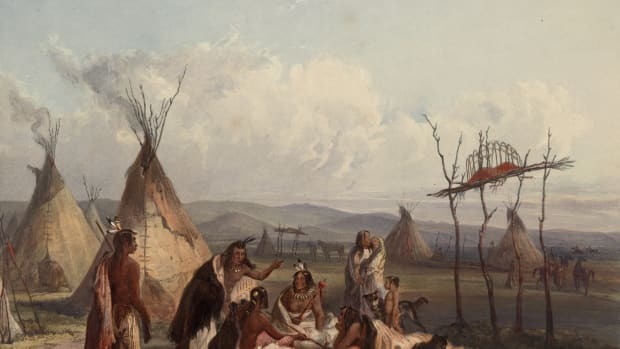 As the railroads expanded west, tensions rose between Native Americans and soldiers. In 1872, Crazy Horse took part in a raid with Sitting Bull against 400 soldiers, where his horse was shot out beneath him after he made a reckless dash ahead to meet the U.S. Army. 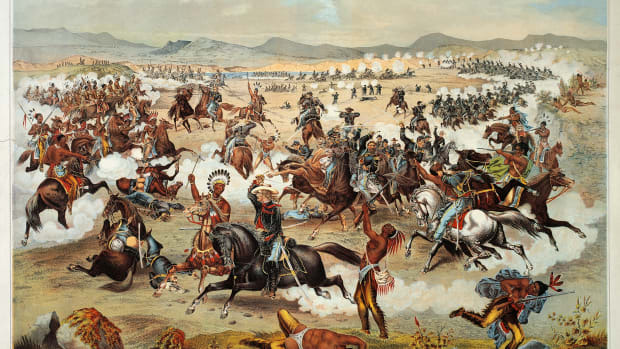 In 1873 General George Armstrong Custer crossed into Sioux territory. Somewhere along the Yellowstone River, Crazy Horse encountered Custer for the first time, coming upon a contingent of napping soldiers. The Sioux attempted to steal their horses but failed, and Crazy Horse retreated after a scuffle. 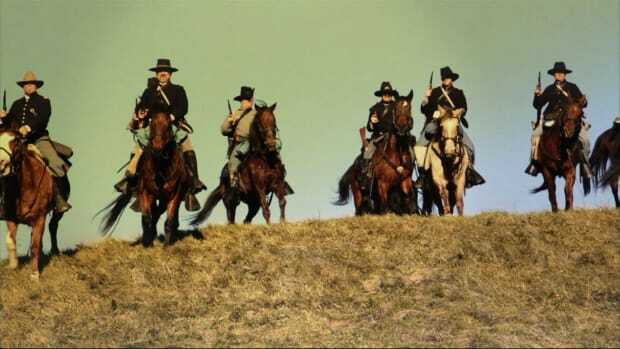 Custer’s troops made their way into the Black Hills in search of gold, violating treaties while also ushering in civilian miners who outnumbered the Native population. By 1876, large numbers of tribes gathered near the Little Big Horn River in Montana to join Sitting Bull. General George Crook, who had recently raided a village that was wrongly claimed to be Crazy Horse’s, attempted an attack, but Crazy Horse and Sitting Bull led forces to push back Crook in what is called the Battle of Rosebud. 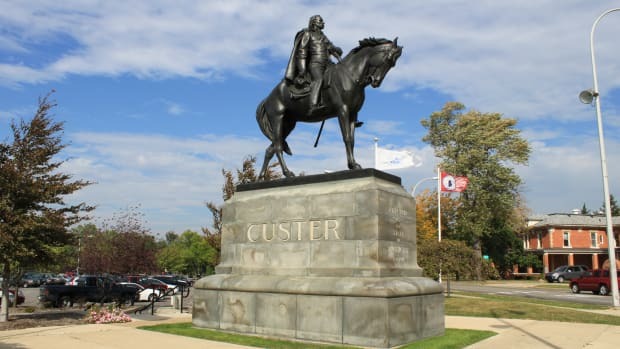 One week later, General Custer entered into battle at Little Big Horn after refusing the advice of his Native guides, who assured him he would lose the confrontation. Crazy Horse led as many as 1,000 warriors to flank Custer’s forces and help seal the general’s disastrous defeat and death at the Battle of the Little Big Horn, also known as Custer’s Last Stand. Crazy Horse traveled to Big Butte to harass white miners in the Black Hills, while the Sioux faced continued hostilities from General Crook during a harsh winter that decimated the tribe. Sensing the tribe’s struggle for survival, Colonel Nelson A. 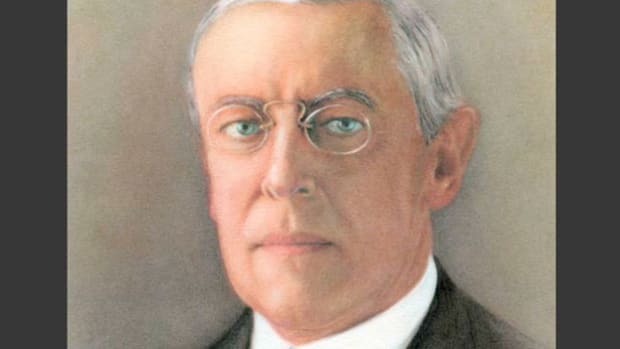 Miles tried to strike a deal with Crazy Horse, promising to help the Sioux and treat them fairly. When Crazy Horse sent emissaries to discuss the deal, soldiers shot and killed several and Crazy Horse fled. Miles repeatedly attacked Crazy Horse’s encampment until winter weather prevented action. Incapacitated by the winter, Crazy Horse negotiated with Lieutenant Philo Clark, who offered the starving Sioux their own reservation in exchange their surrender. Crazy Horse agreed. 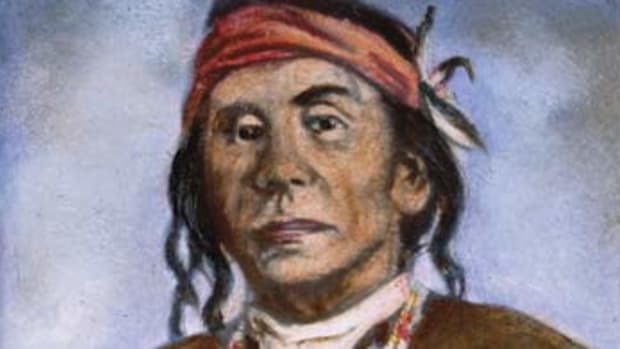 During negotiations, Crazy Horse found trouble with both the Army and his fellow tribesmen. 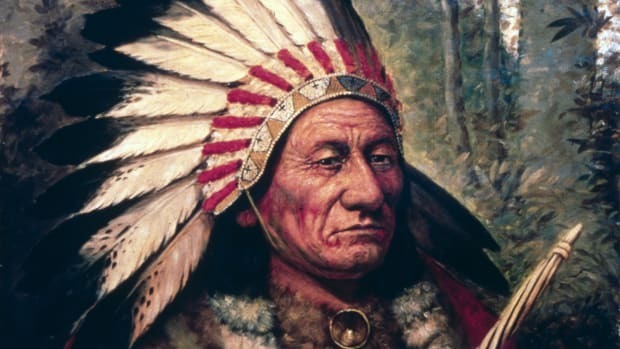 Clark tried to convince him to go to Washington, but Crazy Horse refused, furthering the Army&apos;s belief that Crazy Horse was too unreliable for negotiation. Some of the Sioux were agitating with others following a rumor that Crazy Horse had found favor with white people, who planned to install him as leader of all the Sioux. 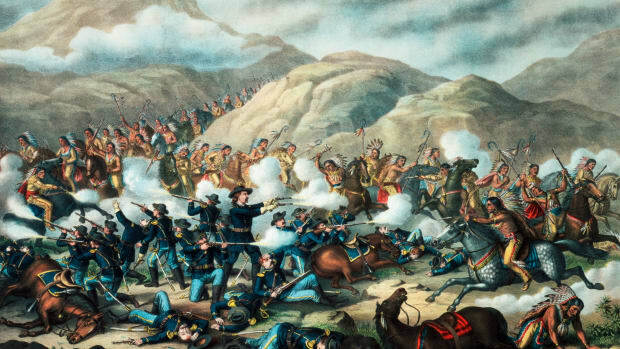 Tensions rose as the Army sought Crazy Horse’s help in their conflict against the Nez Perce natives. 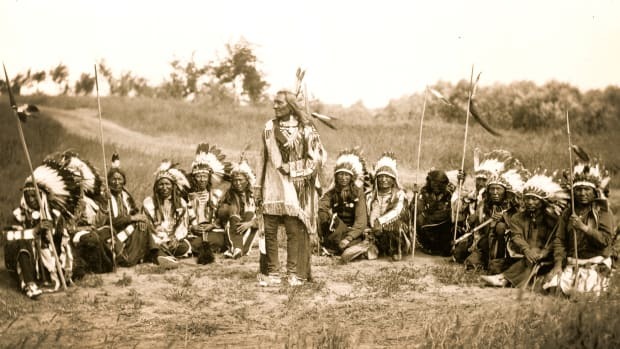 During these meetings, an interpreter claimed Crazy Horse had promised he would not stop fighting until all white men were killed, though Crazy Horse had not said that. 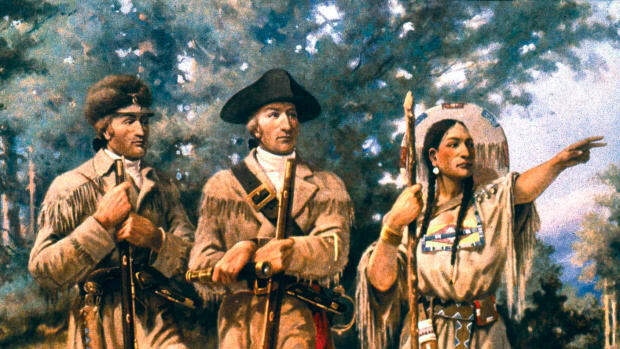 Some Sioux warriors signed on with the Army to fight the Nez Perce warriors. Disgusted, Crazy Horse threatened to leave negotiations and was soon after arrested. Returning to camp the next day, Crazy Horse requested to talk to military leaders, but was led to a cell instead. Realizing the betrayal, Crazy Horse struggled. An old friend, Little Big Man, worked for the Army as a policeman and attempted to restrain Crazy Horse, who pulled a concealed knife on him. Trying to prevent Crazy Horse from stabbing Little Big Man, a soldier shoved a bayonet into Crazy Horse’s abdomen, piercing his kidneys. Crazy Horse collapsed and was moved to an office, where he refused a cot. Only his father was allowed to visit. Crazy Horse died at some point later on the night of September 6, 1877, at the age of 35, lying on the bare floor in Fort Robinson, Nebraska. His body was taken away by Sioux and buried at an unknown location near a creek called Wounded Knee. Cray Horse is remembered for his courage, leadership and his tenacity of spirit in the face of near-impossible odds. 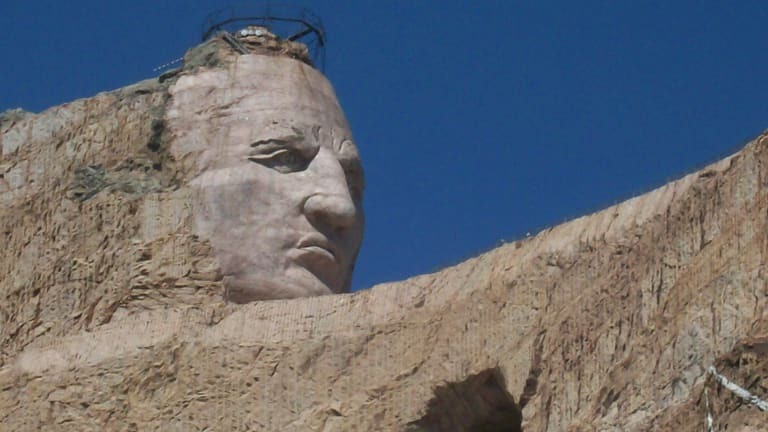 His legacy is celebrated in the Crazy Horse Memorial, an uncompleted monumental sculpture located in the Black Hills, not far from Mount Rushmore. Started in 1948 by sculptor Korczak Ziółkowski (who also worked on Mount Rushmore), the Crazy Horse Memorial would be the largest sculpture in the world when completed. Operated by the nonprofit Crazy Horse Memorial Foundation, the sculpture grounds are open to the public and reportedly receive more than one million visitors each year. Crazy Horse: A Life. Larry McMurtry. Crazy Horse: War Chief Of The Oglala Sioux. Martin S. Goldman. Bury My Heart At Wounded Knee. Dee Brown. Crazy Horse Memorial: Quick Facts. Crazy Horse Memorial.